Fly to Delhi and take a bus to Rishikesh, a train to Hardware or a flight to Dehradun airport. Of the Old World, these grey macaque monkeys in India adapt quickly to their environment. This particular misfit stole a woman's corn cob as she looked the other way. 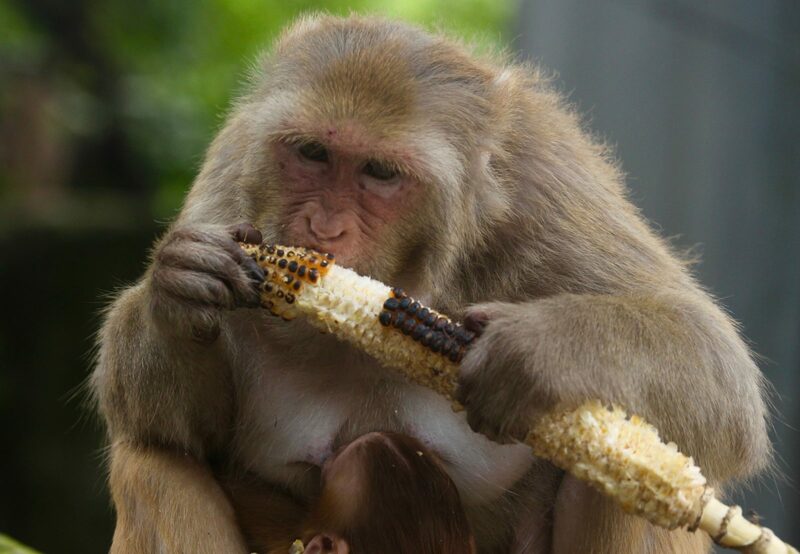 She savours the kernels with smugness occasionally sharing with her newborn as her annoyed victim scolds the monkey's daring.